I hope you all are ready to crush your Thursday!! One thing I wanted to share with you as I sip my morning coffee is the power of COFFEE/ CAFEINE and how you can use it to crush your workouts!! Whenever I have a cup of coffee and I get into the gym about 20 minutes after, I notice I have higher energy levels and I can get through my sets with heavier weights! So let me share with you a few ways that you can use the help of COFFEE to CRUSH YOUR WOKOUT!! Perhaps the greatest benefit of having coffee before your workout are its fat burning properties. Coffee—when consumed before exercise—can cause fat cells to be used as an energy source as opposed to glycogen. Also, the high amounts of caffeine in black coffee will increase your metabolism, which makes you burn more calories throughout the day. Having coffee before exercise enhances that effect. Also, caffeine and other compounds found in coffee act as an appetite suppressant, making you consume less overall! Several studies have demonstrated a link between caffeine intake before exercise and increased athletic performance. A report published in Sports Medicine refers to caffeine as a “powerful ergogenic aid,” and mentions that athletes can “train at a greater power output and/or train longer” after caffeine consumption. To gain an extra edge in your training sessions, coffee might be just what you need. Researchers found that subjects who consumed coffee prior to exercise experienced less muscle pain during their workout than their non-caffeinated counterparts. The takeaway? Like I said before, this means you can complete more reps at a higher resistance during your weight training sessions, and run faster and longer during your cardio workouts. Another advantage of drinking coffee is that it helps protect your body from diseases. Coffee contains high amounts of antioxidants, which protect against damage from free radicals. 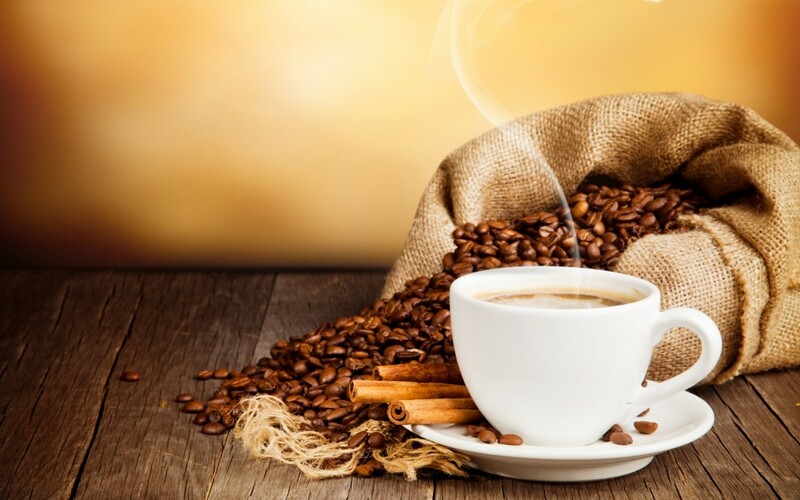 According to studies, coffee consumption has an inverse correlation with diabetes, Parkinson’s disease, Alzheimer’s disease, and certain forms of cancer. So sip up!! With all these benefits of coffee, get your sip on and then get your booty in the gym for MAXIMUM results!! If you have any tips on how coffee has given you added benefits to your workout please share them here with me!